Written by Dr. Krutika Ingle Karandikar and medically reviewed by iCliniq medical review team. Sunlight is the most important and abundant source of vitamin D available. Non-vegetarian food is the second most important sources of vitamin D. Examples are fish oils, egg yolk, dairy products, etc. Vegetarian food has scarce amounts of vitamin D. Some of the examples are mushrooms, broccoli, avocado, tofu, and fortified cereals. Will rabies virus survive outside host if exposed to sunlight? Can vitamin deficiency cause muscle twitching? Can vitamin D3 deficiency cause pain in different parts of my body? Vitamin D from the sunlight is absorbed into our body through the skin. Hence, its absorption is decreased by using sunscreen lotions. Vitamin D is activated in our body in the liver and the kidney. Hence, its deficiency can be seen in people suffering from liver or kidney diseases. Vitamin D increases the absorption of calcium from the intestines. The active form of vitamin D has an anti-proliferative effect on keratocytes (skin cells), breast cancer cells, and prostate cancer cells. Hence, it is seen to be protective against these cancers. Vitamin D helps in warding off chronic ailments like diabetes mellitus, heart diseases, and depression. Long-Standing Vitamin D Deficiency: It results in decreased calcium levels, accompanied by impaired mineralization of the skeleton and proximal myopathy. Undermineralization of the bones leads to easy fractures. Diagnosis of Vitamin D Deficiency:- The most specific screening test in otherwise healthy individuals is serum 25-hydroxy vitamin D levels. 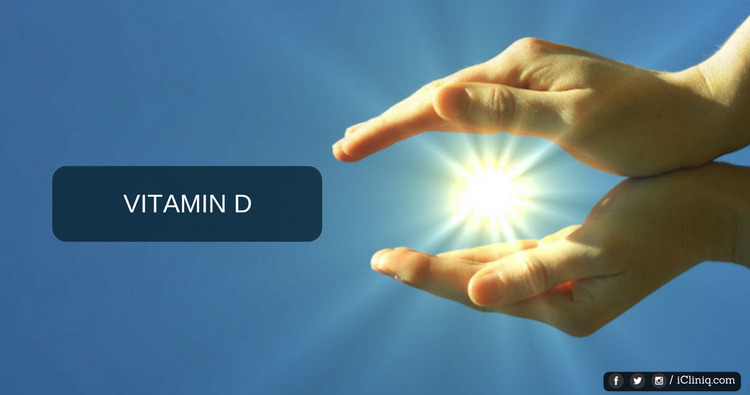 Treatment for Vitamin D Deficiency:- The treatment includes supplementation with Vitamin D and Calcium. It is important to note that self-administration of medications should be avoided, as vitamin D is a fat-soluble vitamin. Hence, the excess amount is not easily excreted out of the body and would lead to vitamin D toxicity. Hence, it is recommended to get treated under the supervision of your physician. Do you have a question on Vitamin D or Sunscreen Lotion? I got fever, lots of blisters and hair fall. What can be used at the earliest? My face turns red when I am exposed to sunlight. What could it be? I am just fed up with my dark complexion. Please prescribe me some skin whitening product.